The question is much harder to answer than why I became a Park Ranger but just as important. If you are living your passion then everything else just falls into place. 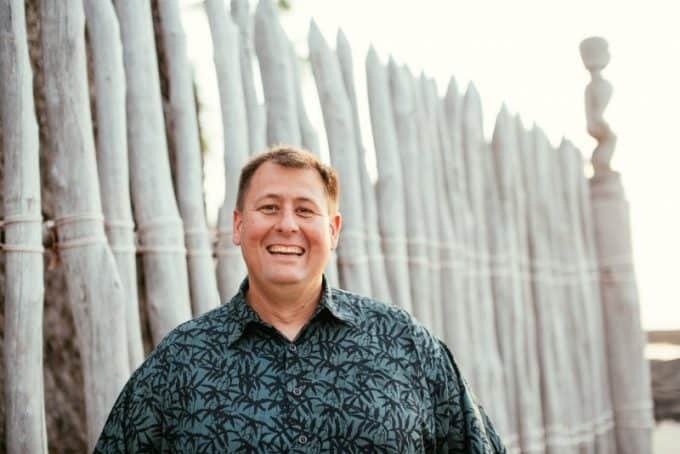 My passion for the outdoors, helping park visitors find incredible experiences in parks that I have personally had and protecting resources all led me to this career. Do you feel that you are up for this challenge? If yes then read on. Hopefully, this article will lead you to become the future legacy of an American Icon, walk in the footsteps of Harry Yount, the “Father of the Ranger Service” and the first Park Ranger at Yellowstone National Park! Numerous Park Ranger positions are available throughout the United States and abroad. City, county, state and federal agencies manage parks thus requiring the need to hire Park Rangers. The most famous of these agencies is the U.S. National Park Service, after all, it’s where it all began with Yellowstone National Park. What most people don’t realize is the National Park Service hires and employs two distinct types of Park Rangers; Protective and Interpretative. This diversity creates opportunities for several types of people wanting to take on the Park Ranger Profession. My personal experience comes from working as a State Park Ranger. My primary job duties include protection (Law Enforcement) wildland firefighting, emergency response and resource protection. I picked working for the state because there are also opportunities to provide interpretative programs, assist park visitors and work on maintenance needs of the park. I get great satisfaction going through the park seeing the changes that I have completed and implemented. Some of these tasks include working with other agencies to begin a fuel reduction program reducing the risk of wildland forest fires in parks, developing park brochures and placing interpretative panels to educate park visitors. To be eligible for this type of position with the state requires a minimum of a two-year degree in a Natural Resource related field and two years of work experience however it is preferred that you have a Bachelor’s Degree in a Natural Resources related field. The competition for these positions are high so many people are coming in with a Bachelor’s Degree. I also began my career working as a park aide. Tasks for this position included general maintenance tasks, cleaning restrooms and assisting park visitors. The park aide position provided me the opportunity to show that I was competent, a hard worker, had great communication skills and worked well with the public and coworkers. It was a tremendous help to have work experience as well as recommendations from trusted employees already in the parks system. Law Enforcement (Protection) Park Rangers have a much higher standard for employment than most careers. I had to possess a valid driver’s license, have a clear criminal background including no prior use of illegal drugs including marijuana, pass a full background check including my finances, pass a psychological examination, pass a polygraph test and pass a physical abilities test including pushups, sit-ups, 1.5 mile run and a 300-meter sprint. I believe the U.S. National Park service also requires you to be a U.S. Citizen and not over the age of 37. I never said that it was easy to become a Park Ranger but then again you are wanting to become an American Icon! You will have a tremendous amount of time and effort invested at this point applying yourself to this career choice. Most Park Rangers start off working in seasonal positions gaining valuable work experience and a reputation of a great employee. It will also give you the opportunity to see if this a career you really wish to pursue. Many people come in with preconceived ideas of they think a Park Ranger is and not realize the demands of this career choice. Depending on the agency you work for will determine when or if you will be sent through a Law Enforcement Academy. Some agencies wait until you are hired full time while others may expect you to come in with already having a Law Enforcement Academy under your belt. Some people find out that Law Enforcement is not the path they wish to take. I respect everyone with this decision whether they do or don’t pursue this career. It takes a special person to go through these experiences. The great news is that once you pass the Law Enforcement Academy and the probation period you have made it to something truly special, you have joined the ranks of an American Icon! Other agencies may require that you have other skills and abilities depending on the position. I have seen positions that require skills in off-roading, pass and possess a Wildland Firefighter certification, be an EMT (Emergency Medical Technician), possess and maintain a CDL (Commercial Driver’s License) and have boating skills to name a few. The great part about this is you become more qualified for future desired positions and promotions. I do not have much knowledge or experience with the Park Ranger Interpretation track but have talked with several National Park Interpretative Park Rangers in my personal time. One Ranger told me that he was 1 of over 800 applicants for his position! Many seasonal Interpretative Park Rangers come from an education background and are full-time teachers that love to work in the parks during the summer months when the parks are the busiest and schools are closed for summer break. I have met people who moved across the country to get three months of work experience under their belt! Requirements for Park Ranger Interpretation include a valid Driver’s License, be a U.S. Citizen, complete and pass a background investigation and meet the educational and work experience requirements for the position you are applying for. I also recommend that you check job listings often as I have seen Park Ranger Interpretation positions with applicant limits meaning that once they hit a mark like 75 applications for the position they close the job announcement that day. I want you to be ready for the job of your dreams and be ready to strike when the opportunity rises! Have all your information ready so you can turn in your application that day! Remember to gain experience while applying for jobs. This may require you put in time as a volunteer, especially at a park you desire to work at. I have spent a tremendous amount of time talking about the Park Ranger Position but want to make you aware that there are numerous possibilities when it comes to working in parks! There are maintenance specialists that come from journeyman level experience with construction backgrounds, maintenance mechanics, general maintenance positions, heavy equipment operators, people who manage special recreation events like weddings and organized running events within the parks and office personnel who manage paperwork and order needed supplies. There are regional positions like arborists, biologists, and planners. There are Headquarters positions who answer visitor’s questions, manage volunteer programs, manage agencies websites, campground reservations and more! It takes a large number of employees all working together as a team to make the parks run smooth. The real question is what skills are you best at and most passionate about? How will you best fit within a large and diverse agency? Follow your dreams if you truly desire to become a Park Ranger. It is going to be long yet epic journey filled with unbelievable experiences, some of the best people you will ever find and a career filled with incredible memories, sunrises, and sunsets! 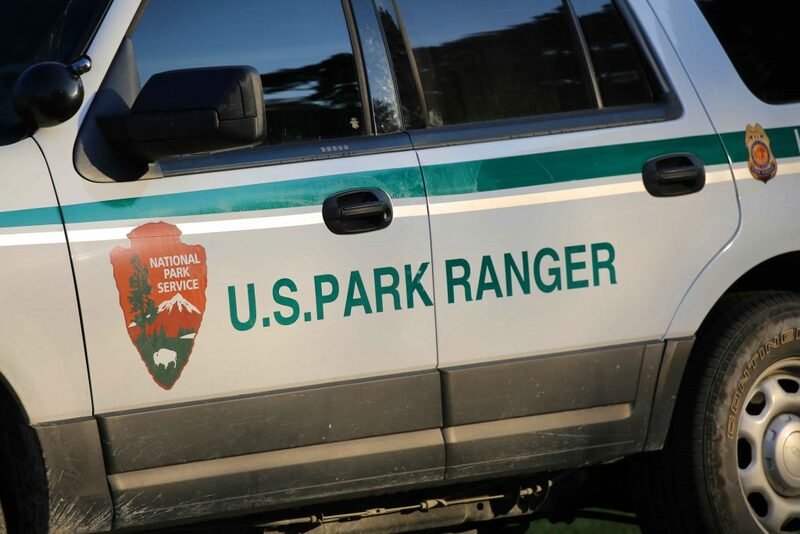 https://www.usajobs.gov/ to search for Federal Park Ranger Positions including the U.S. National Park Service, U.S. Army Corps of Engineers and the BLM (Bureau of Land Management). https://www.nps.gov/aboutus/workwithus.htm To find out more about employment with the U.S. National Parks. Want to know a bit more about my life as a Park Ranger? Check out my about page to read my story of how I became a park ranger and a blogger. This is good to know and your story is inspiring thank you. Trying to conduct research into the average day or job of a park ranger for a book Im writing. Hoping to find someone who could lend more insight into the life of a park ranger. Please contact if interested. Thanks.